As Paris is one of the top tourist destinations in the world, it is fair to assume that the city of love will be filled with crowds and long lines. One does not travel hours on end to maneuver through groups of people to get to the Eiffel Tower, for example. Sometimes taking the off-beaten path leads you to even more special of places. It is good to explore and steer away from places in the city that are highly commercialized. Nonetheless, your experience in Paris is bound to be memorable. The Louvre is most famous for its painting of Mona Lisa and unfortunately, the long lines one must stand in to see it. All of this is avoided when paying a visit to the Louvre at night. Although you won’t be able to go inside, you still get to enjoy the beauty of the museum from the outside. The Louvre is warmly lit with hardly anyone around at this hour. If you are arriving in Paris in the evening and wanting to get a glimpse of the Louvre before bedtime, book an airport shuttle via https://www.lebusdirect.com/en/ to get you there quickly and safely. Once you arrive, take a peek inside through the glass or take a romantic stroll around it. You may even hear live violinist and cellist playing from the outside. Most may think the best view of Paris is on top of the Eiffel tower. However, there is a strong contender that is half the price and has no line. 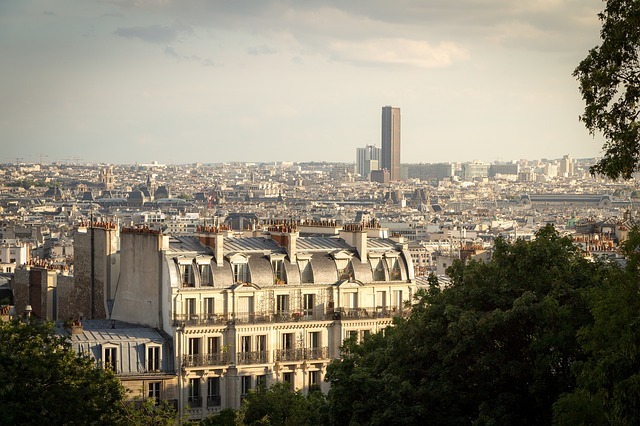 Montparnasse Tower is Paris’ best-hidden secret when it comes to a fantastic view. The Montparnasse Tower is Europe’s tallest building. At the top, you will find an incredible view of the city, including the iconic Eiffel Tower. The view during the day is great, but in the evening, it becomes a glowing and twinkling masterpiece. It is no news that Paris is filled with extraordinary museums. They all display world-renowned works of art, sculptures, and other important artifacts. The French National Museum of National History is a museum you cannot miss, specifically the gallery of paleontology and comparative anatomy. This exhibit isn’t as commonly visited in Paris and is highly impressive. The entire exhibit consists of various animal skeletons. If your museum trip isn’t enough, stop by the botanical garden and zoo, all found connected to the museum. There is no better way to get to know a city then to taste its food. Paris just happens to have some of the most delicious food in the world. A food tour is a perfect activity to enjoy when you aren’t sure of what to do next. Food tours in Paris usually consist of educating one about the dining culture and most importantly, tasting the food. You will try everything from cheese, meat, baguettes, and French wine. Not to mention, the famous French desserts, crepes, chocolate, and macarons. The city is filled with amazing street art all done by local artists. Not only is the budget-friendly activity, it also allows one to either do a guided tour or self-guided tour of all the best graffiti. Canal Saint-Martin is one of the best places to see the most interesting street art. It is beautiful to look at but also expresses the views people have who are in Paris. When you are done strolling through streets of graffiti, check out the trendy restaurants and art shops nearby. Walking through the busy streets of Paris can get overwhelming. It may be a change of language and culture and cause you to get lost and confused easily. This is perfectly normal. Traveling can be stressful at times but knowing how to pack and prepare for an international flight can make the experience much easier. This promenade is a stunning three-mile green space that was created on top of an old railway line. The path is covered in trees and plants that keep you in the shade on a hot day. You can even walk along this promenade until you reach Jardin De Reuilly, a picturesque spot for a picnic.